Nobles Funeral Home and Crematory announces the funeral services for George Cecil Page, age 77, who passed away Tuesday, November 6, 2018 at Community Hospice House in Vidalia. He was a native of Appling County living in Girard for 20 years returning to Appling County in 1996 after his retirement. 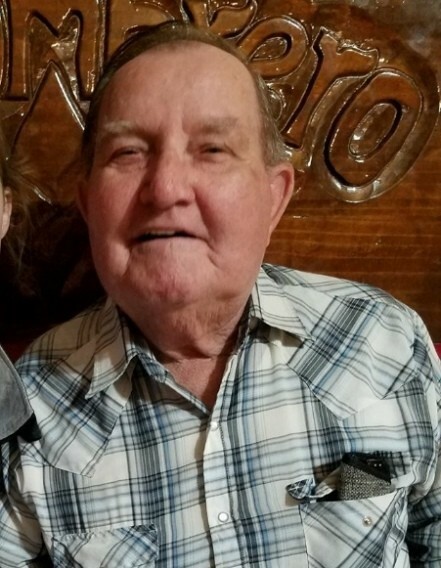 He was a member of Pleasant Grove Baptist Church, a former member of Red Oak Baptist Church and a former Deacon and Sunday School Director at Sardis Baptist Church. Mr. Page worked as an Ironworker with Local Union 709 retiring after 30 years and worked for Williams Dairy Farm for 20 years retiring once again in 2016. He was preceded in death by his wife of 50 years, Gayle Elaine Williams Page; parents, Mackie Lee and Nettie Leona Griffin Page. Survivors include a daughter and son in-law, Angelia and Donnie Carter of Baxley; a son and daughter in-law, Dr. C. Steven and Paula Page of Grovetown; four grandchildren, Trudi Carter of Baxley and Abbi, Emma and Will Page of Grovetown; two sisters, Betty Page of Glenwood and Louise Selph of McRae; and papa to many special grandchildren. Funeral services will be held Saturday, November 10, 2018 at 11am at Nobles Funeral Home Chapel with the Reverend Ron Ross and Reverend John Daughtry officiating. Interment will follow in the Red Oak Cemetery. Visitation will be held on Friday, November 9, 2018 from 6-8pm at the funeral home. Active Pallbearers will be Russell Griffin, Deon Griffin, Durwin Griffin, Victor Williams, Jamie Williams and Jason Griffin. Honorary pallbearers will be the Senior Sunday School Class of Pleasant Grove Baptist Church, Ironworker’s Union Local 709, Cindy Williams, Robert and Violet Williams, staff of Community Hospice House, Bobby and Rachel Edenfield, Dale and Ann Smith, Henry Morris, Mike and Tish Smith, Julia Smith and Rodney and Christy Sellers. Nobles Funeral Home and Crematory is honored to serve the family of George Cecil Page.